I took this photo with my iPhone. It was 8.30pm and I said to my sister, what can a I take a photo of. 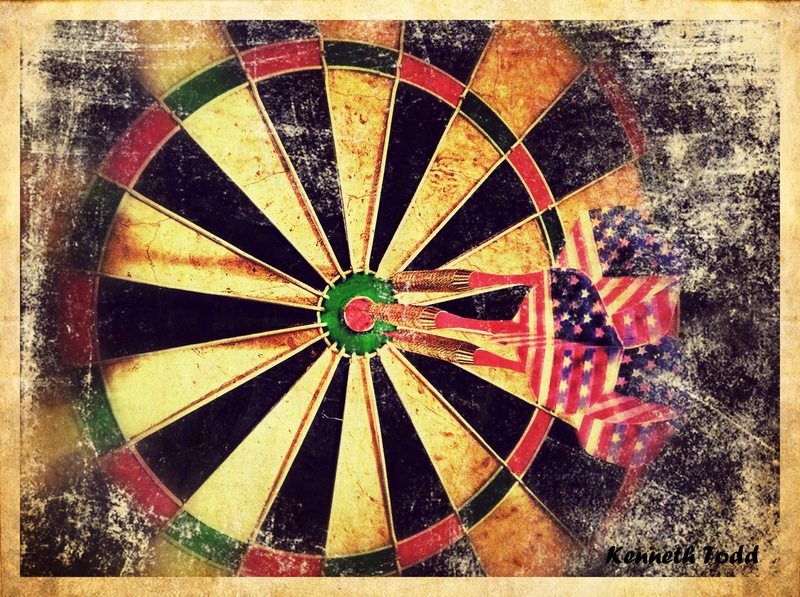 Spotted the dart board got her to shine a torch on the darts, just to create a little shadow and highlight the flights (think that is what the back end is called 🙂 ) and then used a couple of the apps I use to edit. I am not trying to come across as, “Look at me”, but rather hopefully inspire many of you. You can do the same, so quickly and easily. I can assure you, if I can do it, then anybody can. Using phones and apps opens up the creative scale and you can create your own art, whichever way you want to. Try it. It is fun. Enjoy your day. very cool. there’s suddenly a new art of taking pics with iphones. even photography snobs have accepted that the iphone is a very viable means of taking photos. Thanks. So true. It is fun and if you enjoy it, why not do it. Hey, my opinion is: if you’ve got a great shot, take it, no matter what you use to get it. Thanks Francis and thanks for sharing so many of my posts on Twitter. Excellent post proessimg, doesnt look like it was taken with an iPhone. Well said! I think alot of us 365’ers are being way too hard on ourselves to think we have to have a perfect shot. I vote to just have fun. Your photos are always encouragement to me. Thanks Michael, appreciate the comments. 100! We love our darts in the UK. On the Oche! Nice. I like the iPhone apps that people are playing with now.